Huddle Grounds Winding Hole is a minor waterways place minor waterways place place on the waterways major waterways place village town city on the Sheffield and South Yorkshire Navigation (Stainforth and Keadby Canal) between Stainforth Junction (Junction of Sheffield and South Yorkshire Navigation and Stainforth and Keadby Canal) (1¾ furlongs to the west) and Keadby Moorings (12 miles and 3½ furlongs and 1 lock to the east). The nearest place in the direction of Stainforth Junction is East Bank Marina (Home of Thorne Cruising Club ); 1¾ furlongs away. 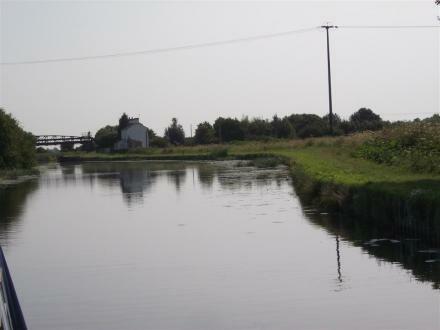 The nearest place in the direction of Keadby Moorings is Ramskir Lane Narrows; 1 furlong away. Sep 24, 1991 ... But they won't win the NFL title this time without a ground game to take some of ... Yet in the circumstances--the clock winding down, no chance at another ... instructed their passer, Bobby Hebert, to come out of the huddle throwing. ... but the Raiders, in the end, dug him an impossible hole on fourth and 12. Jun 27, 2010 ... Three boys huddled together, heads close and whispering. ... Luffy was no longer listening, but instead was winding up his ... a big 'X' on the ground, marking where they'd dug out a hole and filled it with loose soil and water. Church street , Fishlake, Doncaster, DN7 5JN — 1142 yards to the northeast. Church Road, Stainforth, DN7 5AA — 1060 yards to the southwest. Oldfield House Oldfield Lane, Doncaster, DN7 5 — 1591 yards to the southwest. Fishlake — 1149 yards to the northeast. 14 Kingsway, Doncaster, DN75PB — 1586 yards to the south. Manor Farm, Trundle Lane, Fishlake, DN7 5LL — 1147 yards to the north. stainforth, Doncaster, DN7 — 1295 yards to the southwest. 1a Holmes Farm Stainforth, Doncaster, DN7 4EL — 541 yards to the south. Doncaster — 1295 yards to the southwest. Stainforth — 1205 yards to the southeast. Stainforth, Doncaster, DN7 — 903 yards to the south. 27 finkle street, Doncaster, DN50RP — 633 yards to the southwest. Church Road, Stainforth, Doncaster — 1240 yards to the southwest. 54 Junction road, Stainforth, DN7 5DQ — 1252 yards to the southwest. the new inn south bank stainforth, Doncaster, DN7 5AW — 646 yards to the southwest. 2 Police Houses, Stainforth, DN7 5AA — 1202 yards to the southwest. Stainforth — 1519 yards to the south. Manor House, Trundle Lane, Fishlake, Doncaster, DN7 5LL — 1147 yards to the north. Trundle Lane, Fishlake, Fishlake, DN7 5LN — 1147 yards to the north. PO BOX 797, Stainforth, DN7 5WZ — 1386 yards to the south. Doncaster — 1147 yards to the north. Jah-Nay Hair studio stainforth, Doncaster, DN75AA — 1189 yards to the southwest. Stainforth, DN7 — 1295 yards to the southwest. Stainforth — 969 yards to the southwest. Doncaster — 1285 yards to the south. 5 Turnberry mews, Doncaster, DN7 5RZ — 991 yards to the southwest. Stainforth, Doncaster — 1295 yards to the southwest. ramskir lane, Doncaster, DN7 5BE — 207 yards to the northeast. Doncaster — 740 yards to the southeast. Doncaster — 1295 yards to the south. 39 Finkle Street,, Stainforth, DN7 5AL — 609 yards to the southwest. Tudor Rose, Doncaster, DN75DA — 1341 yards to the southeast. 2a Oldfield Lane, Stainforth, Doncaster, DN7 5NF — 1380 yards to the southwest. Water Lane, Stainforth, Doncaster, DN7 5JB — 885 yards to the southwest. SILVER ST STAINFORTH ., Stainforth, DN7 5AJ — 738 yards to the southwest. East Lane, Doncaster, DN7 5HF — 1382 yards to the south. Silver Street, Doncaster, DN1 1NE — 735 yards to the southwest. Eastlane, Doncaster, DN7 — 1265 yards to the south. Arundel street, Doncaster, DN75QT — 1131 yards to the south. stainforth, Doncaster, 75 — 1295 yards to the southwest. Unit 1 East lane, Doncaster, DN75HF — 657 yards to the southwest. Doncaster — 856 yards to the southwest. 18 kingsway, stainforth, Doncaster, DN75PB — 1593 yards to the south. 18 kingsway, Doncaster, DN75PB — 1593 yards to the south. 65-67 Princess Avenue, Stainforth, Doncaster, DN7 5RA — 1108 yards to the southwest.